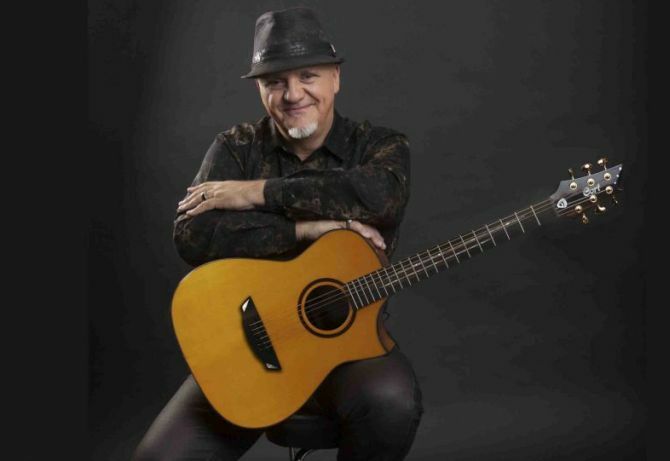 Cort has collaborated with Frank Gambale, an iconic Australian jazz fusion guitarist to create his own signature acoustic guitar. Renowned for his use of the sweep picking and economy picking techniques, Frank has released twenty albums over a period of three decades. This new Signature model guitar will be on display at the event. Featuring a concert body shape, the acoustic guitar comes with a solid Adirondack spruce top along with flamed blackwood back and sides. Besides that, the guitar flaunts ebony bridge, gold tuners, mahogany neck and a ebony fingerboard featuring a custom inlay. The Frank Gambale Signature acoustic guitar boasts LR Baggs EAS-VTC EQ and will come with a cool guitar case. Currently there is no word on the pricing and availability of the guitar. For more information and to see more from Cort Guitars, you can visit their NAMM booth at stand #4456, Hall C during the NAMM 2016.